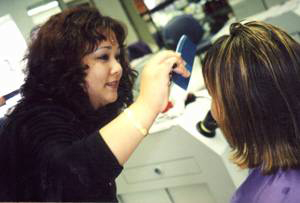 Supercuts is staffed by experienced and professional stylists trained to provide you with fabulous hair. For the latest trends, products and cuts in hair styling, visit one our salons where the price of looking good just got more reasonable. Supercuts is staffed by experienced and professional stylists trained to provide you with fabulous hair. For the latest trends, products and cuts in hair styling, visit one our salons where the price of looking good just got more reasonable. We'll find the look that works best for you as well as styling product recommendations that fit your style and hair type.